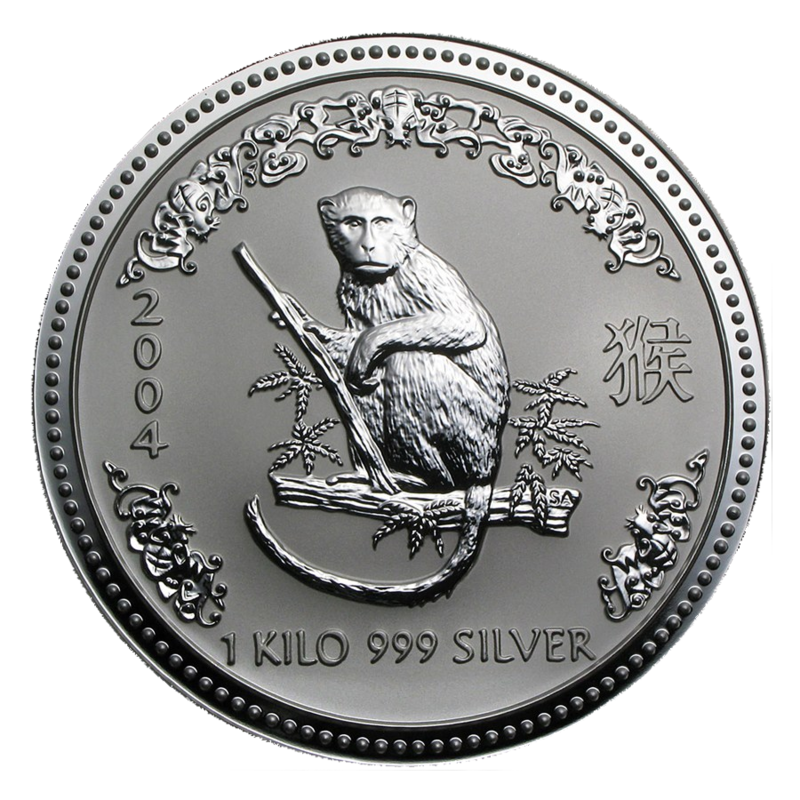 The 2004 Silver Lunar Year of the Monkey features a monkey sitting on a tree branch holding a smaller tree limb with leaves around him, design by Sarah Anderson. Sixth release of the Series I 12-Coin series. 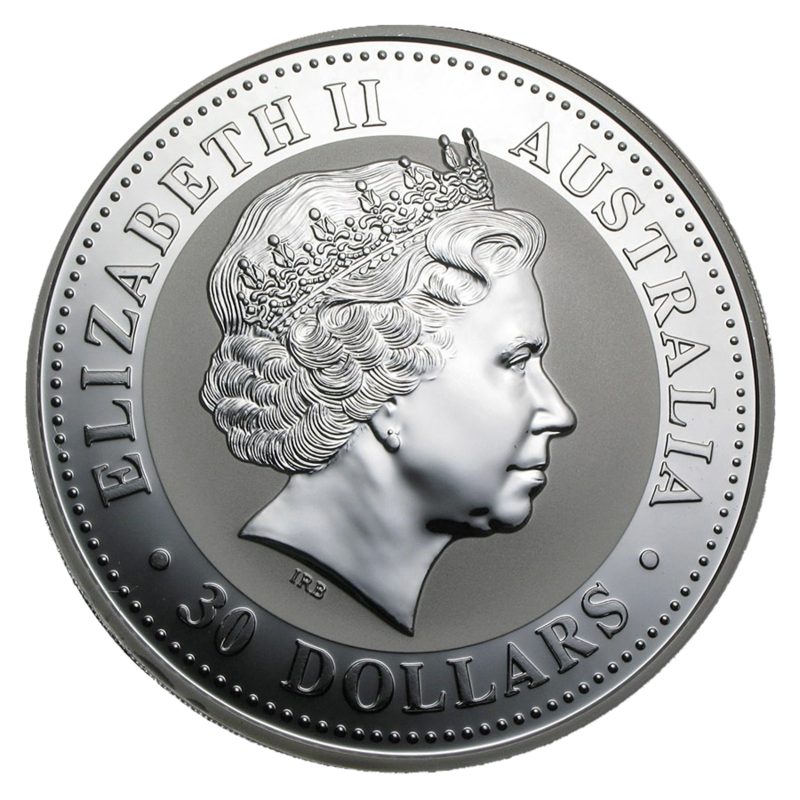 The Ian Rank-Broadley effigy of Her Majesty Queen Elizabeth II and the monetary denomination are shown on the obverse.